When a tree falls, does your insurance policy cover the damage? 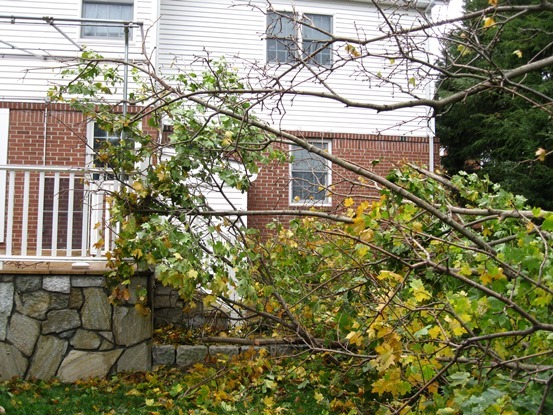 Although stately trees add value to property, falling branches can cause extensive damage. Does your insurance policy provide the right coverage? Question. I am working on several large property claims from recent northern California firestorms. I am not clear on debris removal for our ISO HO-3 policies (HO 03 10 00) and whether debris removal as an additional coverage extends to removal of dead trees killed in the fire. The policy states that trees are covered under additional coverage (E) 3. when the loss is caused by a peril insured against, including fire. If the limit available for trees, shrubs and other plants is exhausted by payment of loss, is there an extension of another 5 percent for debris removal of these now dead trees? This insured has many acres of lost trees, and any available coverage is helpful. Some say that the additional 5 percent for debris removal extends only to Coverages A, B and C, and not to trees, shrubs and other plants. Can you help?